Clothing & Accessories on sale! Callum Russell – Rider Down! 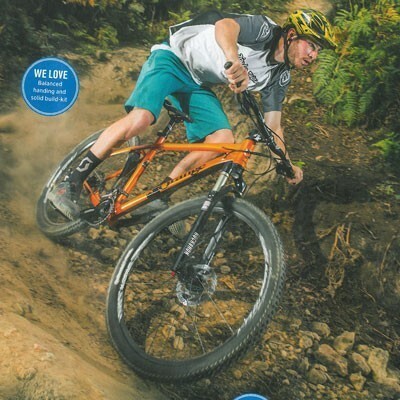 With its 27.5inch wheels, 120mm of travel and singletrack honed geometry, the Clockwork 120 is the choice for those looking for a potent blend of quick handling and rapid acceleration. For 2017 the front triangle gains a little reach and a shorter stem brings the bar to the sweet spot of perfect trail control. With the riders weight nudged a degree forward the Clockwork 120 brings even more confident handling than ever before into the mix. It's a bike that alive when fired down twisty trails but is just as happy when you want to take it easy and enjoy the view. The Clockwork 120’s lightweight aluminium frame is packed full of features; custom butting and shaped tubes provide the right balance of feedback and comfort. A chainstay mounted disc brake mount combined with internal brake, gear and dropper post routing make for a sleek profile. A light but stiff frame coupled with 27.5inch wheels makes for a responsive and engaging ride, whether that’s a quick blast round the local woods or epic voyages into the wilds. Why the Clockwork 120 S? With its 120mm RockShox Reba RL Tapered Steerer forks, Shimano SLX drivetrain and RaceFace finishing kit the Clockwork 120 S is all about dependable performance, whether that be out on the hills or on the start line. Looking for the perfect entry point to the Orange range? The Clockwork 120 might just be it. Prefer 29inch wheels? Try the Clockwork 100. Keep the mud out of your eyes and your bike looking sharp with this Orange Bikes Fender. Front Race Mudhugger as used by World Cup and Enduro World Series riders, gives you better forward vision at high speeds in wet and muddy conditions. The perfect winter accessory to keep the UK trail mud out of your eye's when you are having fun over the wetter months. Suitable for all forks and shocks specified on orange bikes models. Seat Tube 15" 17" 19" 21"
Unless otherwise indicated all measurements are in mm. Frame angles are measured static, without rider sag. Bottom bracket height measured from axle. Please note: This is for guidance only. You may be taller or shorter, it doesn't mean our bikes will not fit you. The best way to determine the correct bike size for you is to try one. 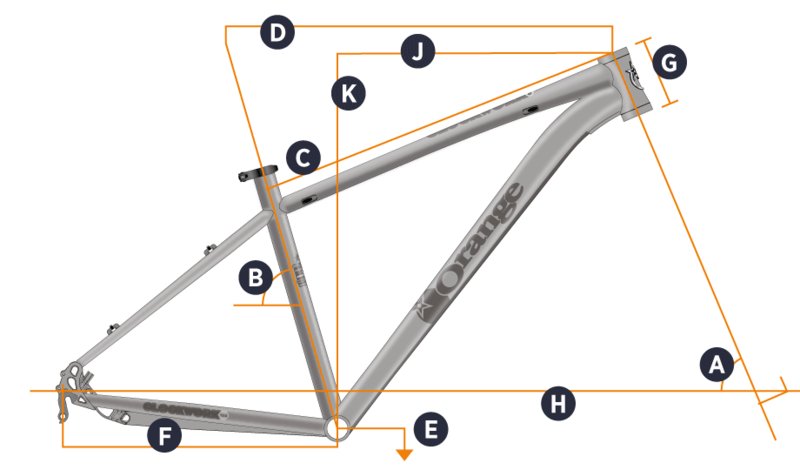 We've added some more explanation on sizing theory here: What size frame do I need? We think the best way to find out what an Orange Bike really has to offer is to ride one. So don't just take our word for it, get out there and give one a go. Sadly it looks like none of our dealers have this model in stock as a demo bike. However, you can find your nearest dealer and they can request one to be sent to them from our demo fleet. Prices and Specifications are liable to change without notice.